Incident management consists of more than hauling away a wrecked vehicle/unit. It includes making it safe for everyone on the scene: the police department, fire department, towing personnel, Department of Transportation (DOT) personnel, insurance adjusters…as well as the motoring public. Sometimes an incident requires more than just a tow truck. We have the additional equipment available to assist in the handling of all types of incidents. Since this is our equipment, it is available 24/7 for immediate dispatch. No one ever wants to have to make the call requesting help with a tractor trailer stuck in the mud or snow, or overturned in a ditch. 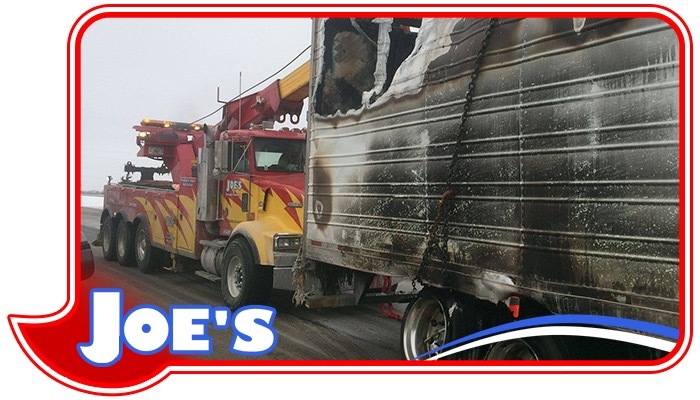 Rest assured that Joe’s Towing highly trained staff will recover your unit as quickly and professionally as possible. 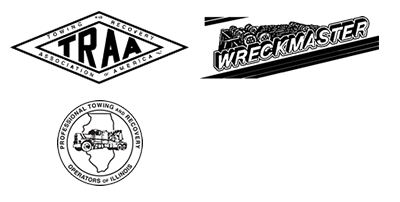 All of our staff are equipped with ANSI complaint clothing and their training includes WreckMaster certification, OSHA Rigger certification, as well as training in air cushion recoveries. We strive to recover your unit with as minimal additional damage as possible. Your units and load will be secured in our fenced and lighted storage facilities until you can make arrangements to have them towed to a repair facility or have them salvaged. 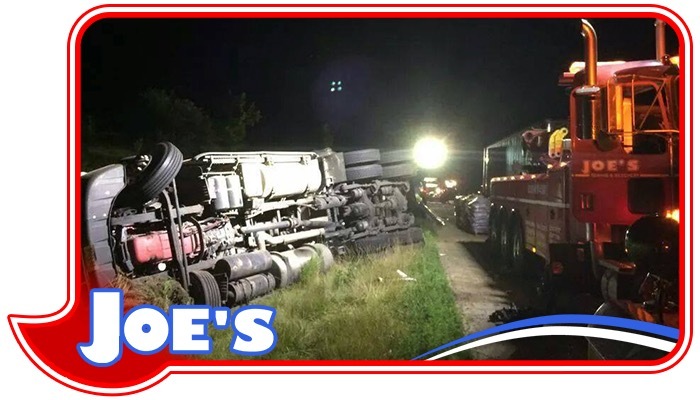 Joe’s Towing and Recovery is proud to service ..